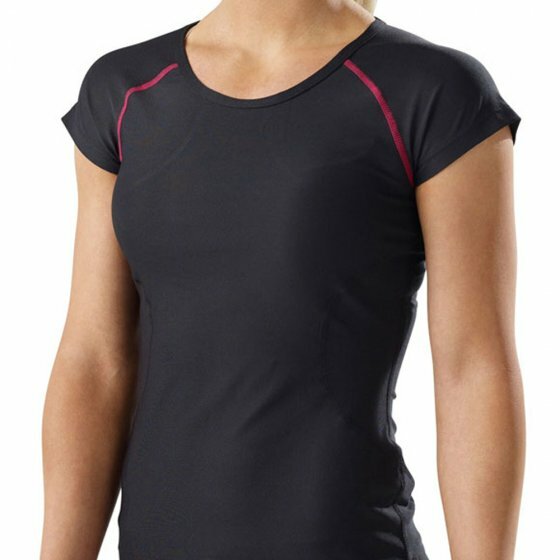 The ultimate performance fitness gear, the FreeMotion Influence Tee is perfect for any workout. Semi-fitted and featuring flat-lock seams, it’s comfortable and won’t get in your way. Feminine lines and detail stitching will make this tee your go-to for fashionable function. Care instructions: Wash with similar colours, machine wash cold, do not bleach, hand dry or tumble dry low, do not iron, do not dry clean.